I am constantly on the move so I am always on the lookout for the perfect snack that will keep me going and taste great without undoing all the work I did in spin class that morning. Enter By Hand Granola, a wonderfully complex tasting granola with the satisfying crunch that makes for the ultimate snack on the go. The big clusters in By Hand Granola make this an ideal choice whether you’re enjoying a bowl of granola, fruit and yogurt, or if you are grabbing a handful to munch on as you dash through your day. The original recipe contains oats, coconut, macadamia nuts, almonds cranberries and other goodies. As a bonus, By Hand Granola also has a gluten-free option that includes gluten-free oats, coconut, cinnamon, macadamia nuts and dried cranberries. By Hand Granola is the perfect snack whether you are sitting down to enjoy a nice breakfast or need a yummy way to snack on the go. Hungry yet? 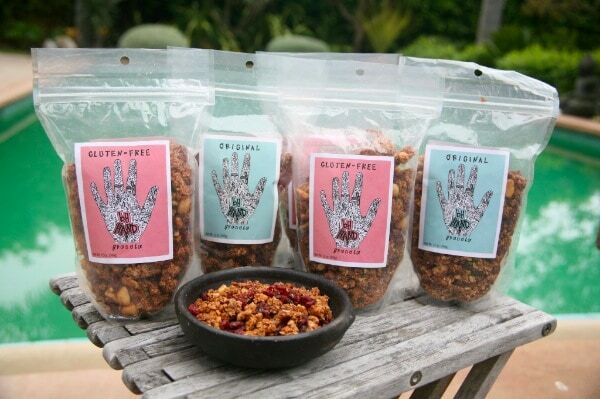 By Hand Granola retails for $8.00 per 12 ounce package. 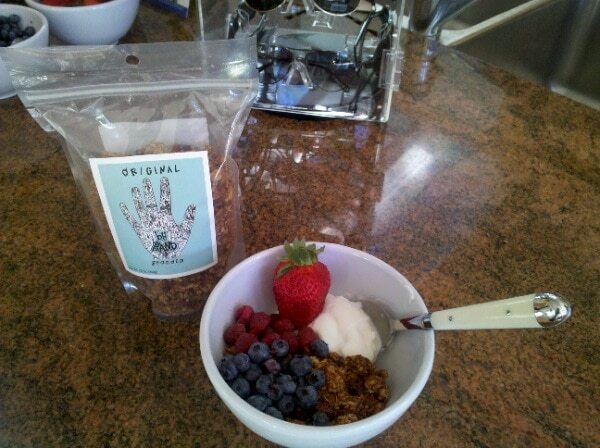 Grab yourself some at www.byhandgranola.com.